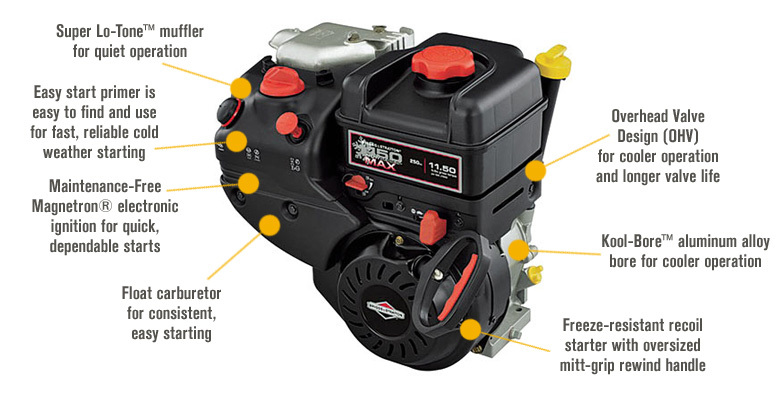 Product SummaryThe Briggs & Stratton Snow Series engine uses OHV technology, which increases fuel efficiency and creates a quieter, smoother and more environmentally friendly engine. The engine's power and displacement give yo.. 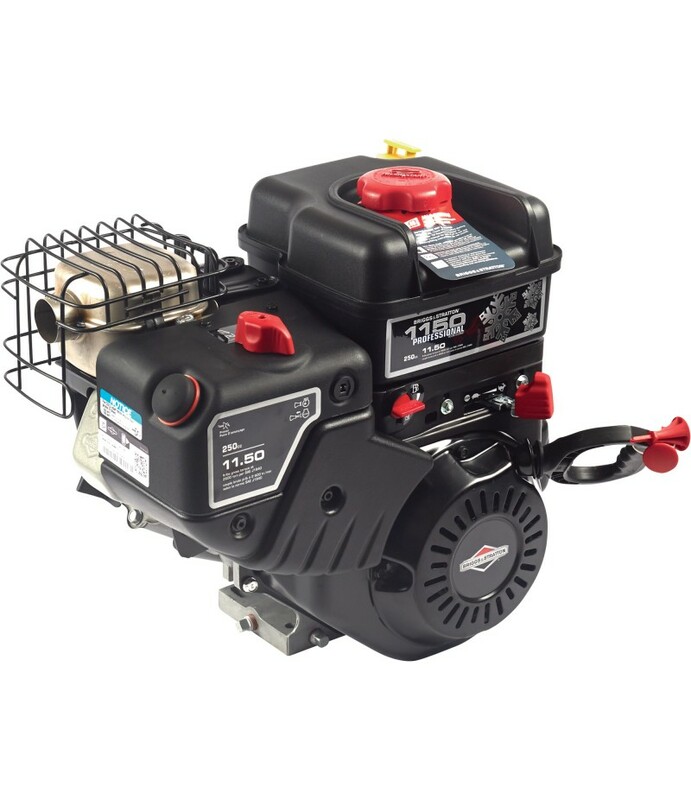 The Briggs & Stratton Snow Series engine uses OHV technology, which increases fuel efficiency and creates a quieter, smoother and more environmentally friendly engine. The engine's power and displacement give you quick, easy snow removal. U.S.A.